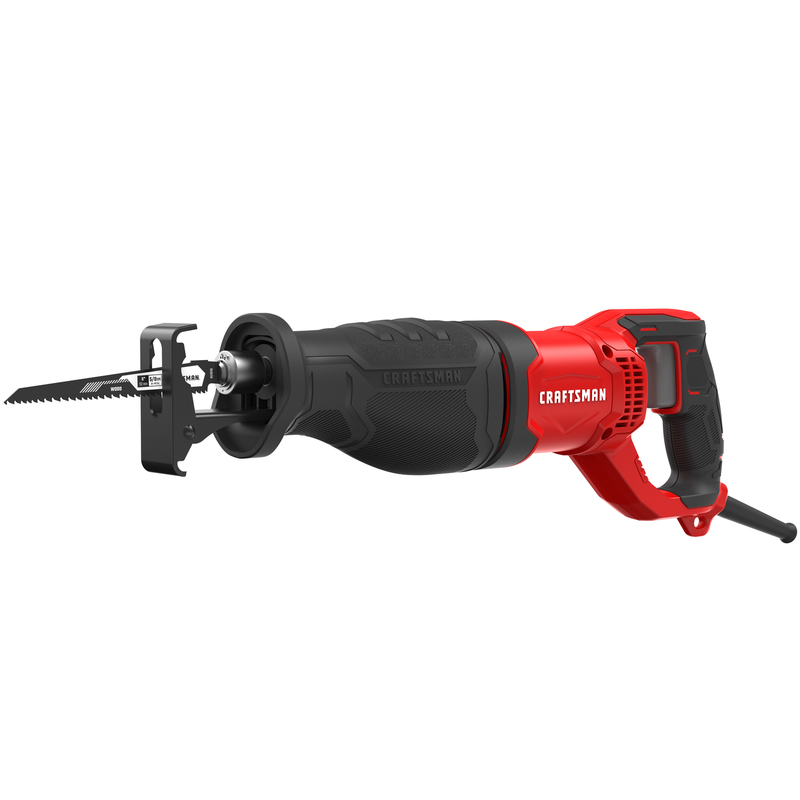 This Craftsman Corded Reciprocating saw has a powerful 7.5 Amp motor with a 1-1/8 in. stroke length for speed of application. The variable speed trigger provides optimal control over a variety of materials with an impressive 3,200 SPM. The tool-free blade release makes for quick and effortless blade changes. Cut in a variety of positions with the pivoting and adjustable shoe. The contoured overmolded handle and grips make using the product comfortable in all types of orientations. High performance motor with 1-1/8 in. stroke length for speed of completing applications. Full variable speed trigger ranging from 0-3,000 RPM&#39;s for added control in a variety of materials. Tool-Free blade release for quick and easy blade changes. Compact size of 14.5 in. for cutting in tight spaces.